WILDWOOD – Investing in young people and the future of GNJ was a top priority at the 2017 Annual Conference in Wildwood last month. GNJ approved a Next Generations Student Ministry plan challenging conference leadership to set bold goals. Rev. Hector A. Burgos, Director of Connectional Ministries, led a Leadership Address that included remarks from Rev. Sang Won Doh, Chair of the Connectional Table and Senior Pastor of Calvary Korean UMC in East Brunswick, Conference Lay Leader Rosa Williams, Rev. Vanessa Wilson, Chair of the Commission on Religion and Race, Rev. Debbe Barnett, Chair of the Council on Youth Ministries, and Rev. Blair Goold, Chair for the Council on Young Adults. These leaders shared a God-sized vision of a Next Generation ministry plan that seeks to integrate camping ministries, IGNITE and campus ministries. The plan was developed by GNJ leadership in partnership with the consulting firm Ministry Architects, and after meeting with 112 stakeholders. These included youth, young adults, parents, youth workers, campus ministry workers, camp staff, pastors, and conference staff with an additional 110 people completing surveys related to camping, collegiate and student ministries. 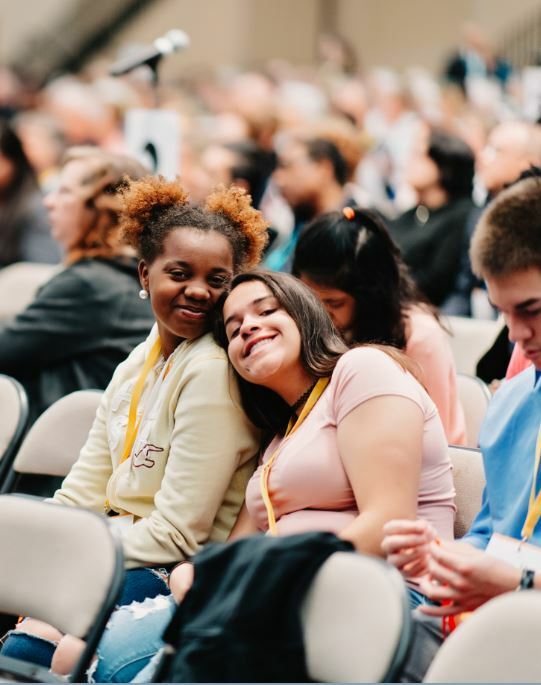 The approved plan commissions church leaders to work with congregations to have 12 or more active youth engaged in faith formation and discipleship in their community. It also seeks to develop ten college campus faith communities with 75 or more students, reinvigorate a 21st-century camping experience, grow IGNITE to 5,000 participants and develop 1,000 leaders to lead student ministries throughout GNJ. Rev. Gabrielle Martone of Broadway and Port Colden UMC’s expressed excitement over the initiative. By reframing and rebranding the current Camps and Retreats Board, which is an affiliated 501c3 organization, as the GNJ Next Generation Ministries Board, the plan establishes strong leadership for all GNJ initiatives related to youth. It serves to coordinate and collaborate the work of the Councils on Youth and Youth Adults, the Board of Higher Education and Campus Ministries, a Camps and Retreats Committee, and a staff action team for operations.